Skincare is essential as beautiful skin requires commitment; not miracle. Not sure about you but this is my first encounter with Swissvita! I am really excited to try out their Acne Soothing Cleansing Cream & Micrite 3D All Use Eye Cream. Before I go into products' details and reviews, I would like to talk a bit on the brand. Swissvita focuses on cutting-edge skincare products research with the France's biotech laboratory team. With the promises of 'Paraben free, Alcohol free, Fragrance free and Sulphate free", they produce quality skincare products for the consumers. 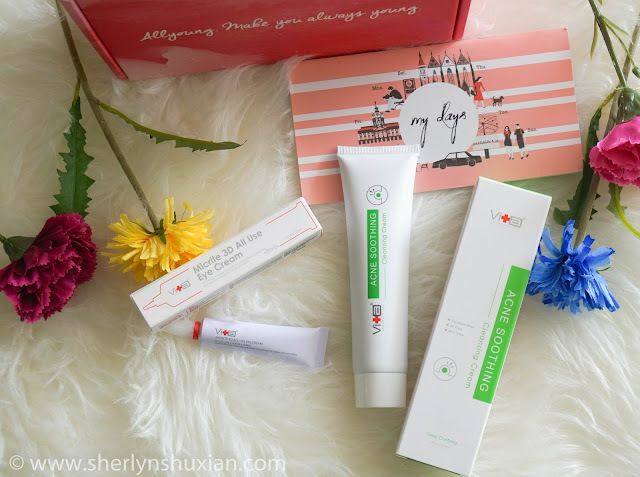 It is the only company in Taiwan who is authorized to use AC-11 Logo on skincare products and it is believed that AC-11 is beneficial in DNA repairing and lowering cell dying rate. What a lovely pink box arrived at my doorstep! I am a lady who do a lot of makeup and it is really important to clean my skin as much as possible. 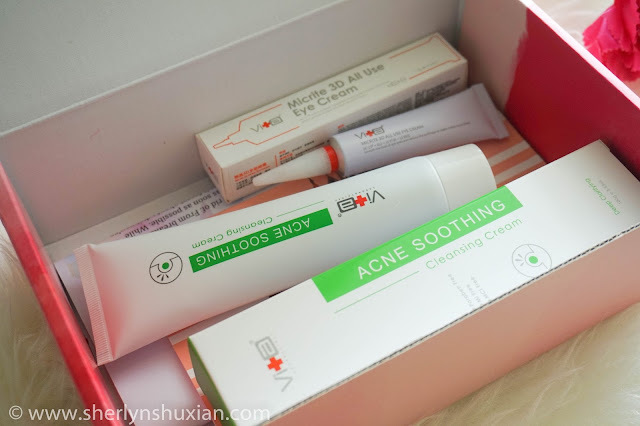 Acne does appeared on my face once in a while and it takes time to get rid of it! 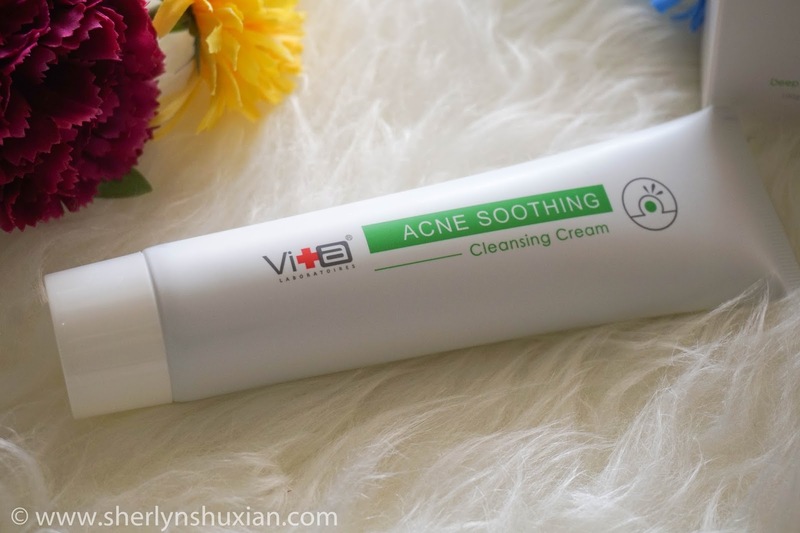 Swissvita acne soothing cleansing cream is a medical-grade facial cleanser dedicated for pimpled skin type, which is also suitable for individual with oily/combination skin. This cleanser makes a difference in your skincare routine by unclogging your pore and reducing the appearance of the pores. It has anti-inflammatory effect as it targets the bacteria which causes acne breakouts! Apart from the citric acid based which is useful in getting rid of blackheads, whiteheads and even breakouts, it also contains plant extract to balance out oil. 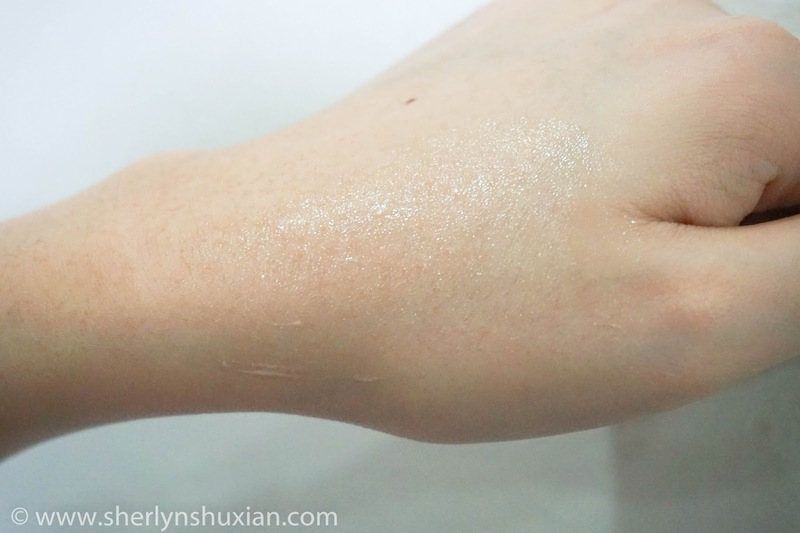 It can be a little bit skin drying due to the citric acid ingredient. 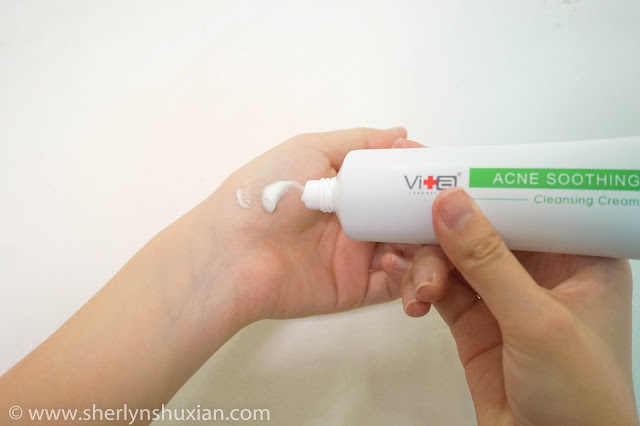 According to dermatologists, it is the best acne face wash in acne fighting! The result can be seen within a week, which is really fast! 1. Dispense appropriate amount of cleanser. Use it twice a day (morning & night). 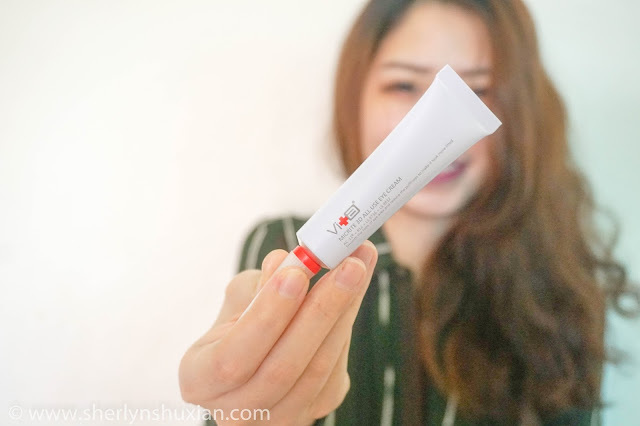 The packaging is simple in a squeeze sized tube. The cleanser has a creamy texture. It turned into milky and foamy upon adding the water. As I have a combination skin and my T-zone is usually oily, the cleanser does control the sebum production throughout the day. The skin feels clean and fresh but I did experience some dryness on other part of the face. 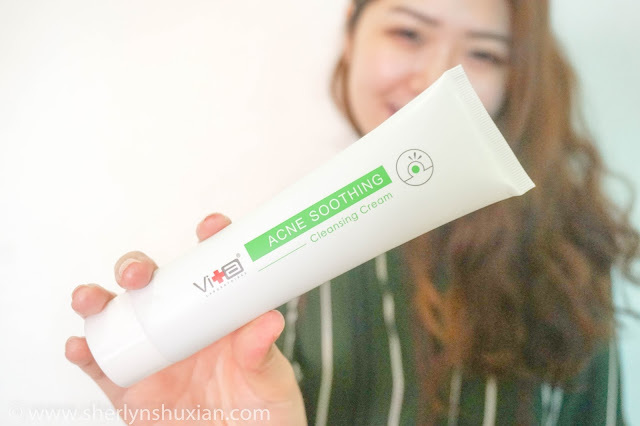 However, drying of the skin is the expected effect of this acne soothing cleansing cream. I adjusted the amount used and areas applied accordingly and applied enough moisturizer after cleansing my face. It helps with the drying. The cleanser is moderately foaming. Coming to the smell, it did't smell too great for me as it is fragrance free but it was acceptable! Tips: Read till the end to get discount! 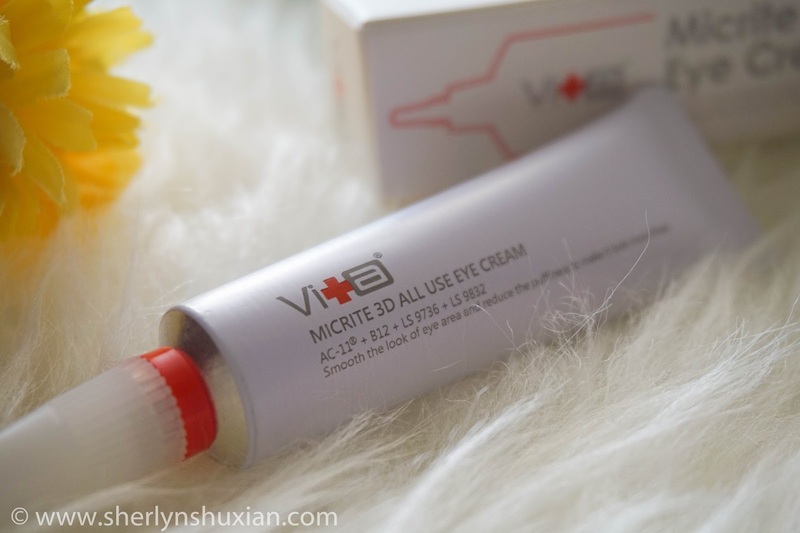 This Micrite 3D all use eye cream is one of the products in the 3D series. 3D series products use aluminium sealed package to prevent the risk of contamination by external pressure, ensure quality care products and maintain the effectiveness of active ingredient. The 4 actions of the eye cream include prevent aging, erase eye wrinkles, dark circles and puffiness by using AC-11 × B12. With the intense hydration and repair formula, it revitalizes, improves overall skin clarity, smooth the look of the eye area and reduce puffiness to make it look more lifted. Swissvita eyecream is also non greasy, paraben free, fragrance free, alcohol free and water based that makes it safe for all skin type. 1. 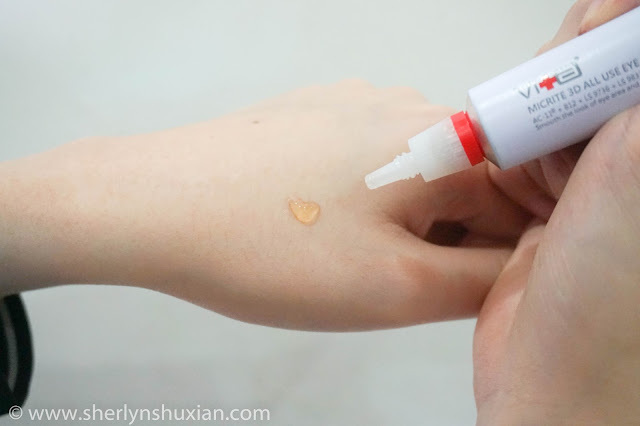 Apply small dot of eye cream around cleansed eye area. To use it, take off the lid, bottle cap and the red safety ring. A sharp point in the cap will poke into the foil. It has a transparent, watery and non greasy texture. 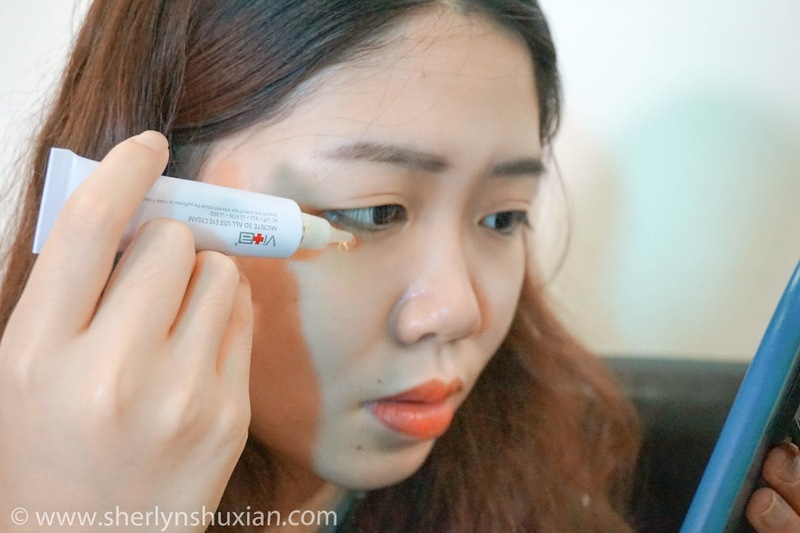 I am always bothered by dark circles problem and I have tried many eye cream for it. However, as I am aging, the fine lines are appearing and it really bothers me. 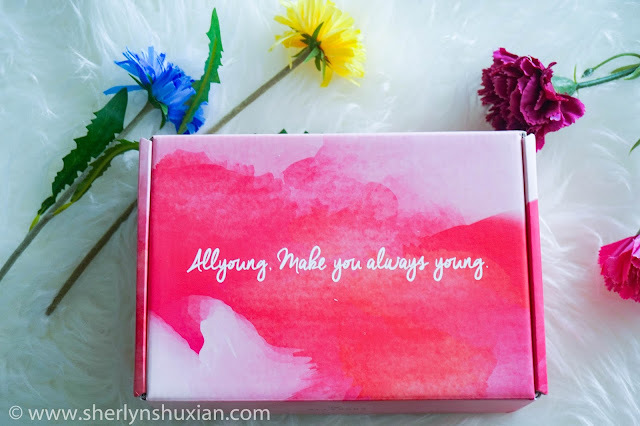 Without any hesitation, I gave this eye cream a try as soon as I received it. I appy the eye cream day and night around my eyes area and massage gently. I find the eye cream really watery and non greasy. 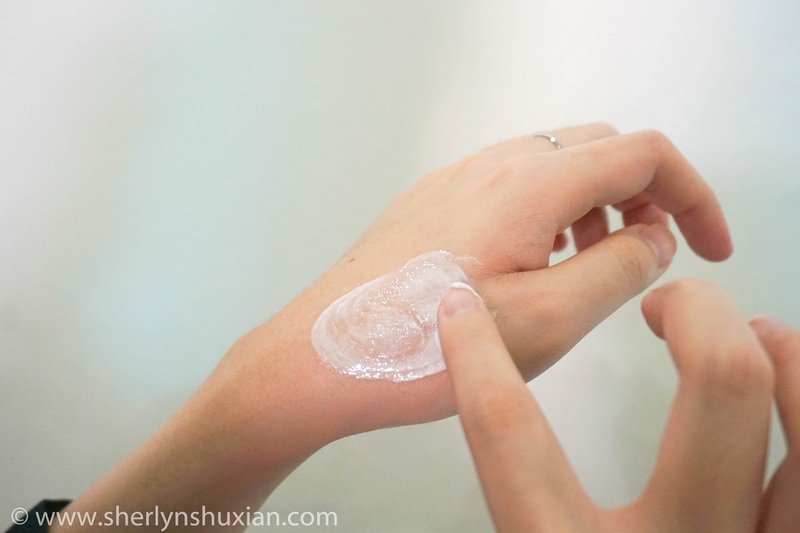 It was being absorbed by the skin very fast and didn’t leave me with an oily feeling. The packaging is simple in a squeeze sized aluminium tube. The cream flows out easily with a gently squeeze and the only way to stop it is to cap it back as quickly as you can! 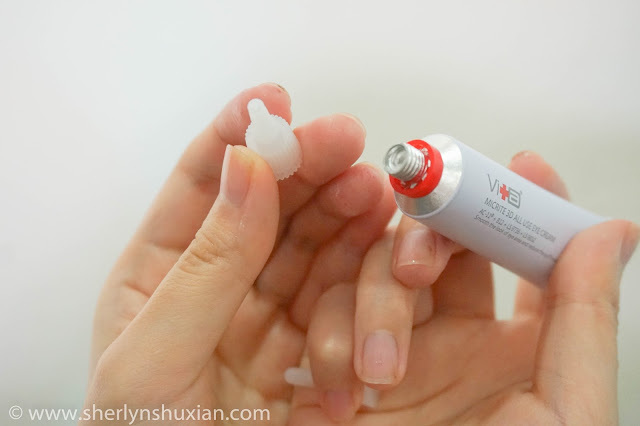 Other than that, I am totally in love with this eye cream, the lifting effect is immediate as promised! I can feel that it firms up my skin immediately!